Convert your BMW and MINI car cabins into a concert hall. 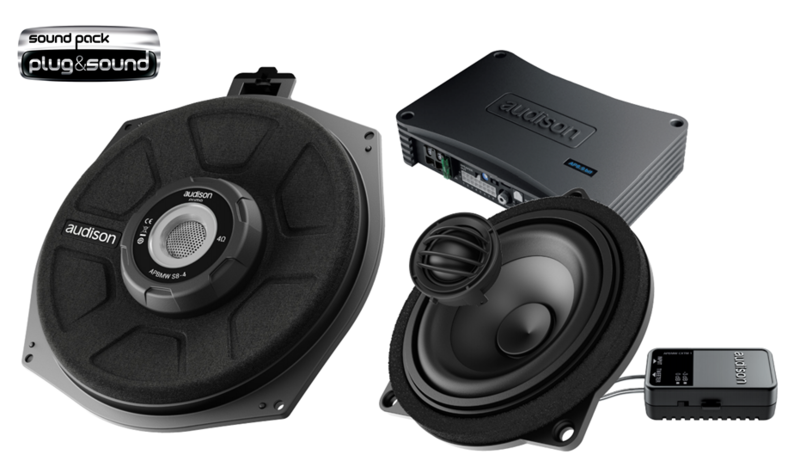 The Audison Prima coaxials, two-way kits and subwoofers for BMW and Mini enhance the dynamics of OEM systems, nullifying the distortion even at high listening levels, leaving room only for emotions. Mounting accessories are provided for a Plug & Play installation. Audison AP8.9 bit amplifier ensures the user can get the most out of the Sound Pack speakers for BMW and Mini.